The Three Cedar Projects consisted of 2,200 acres of solar finish grading. 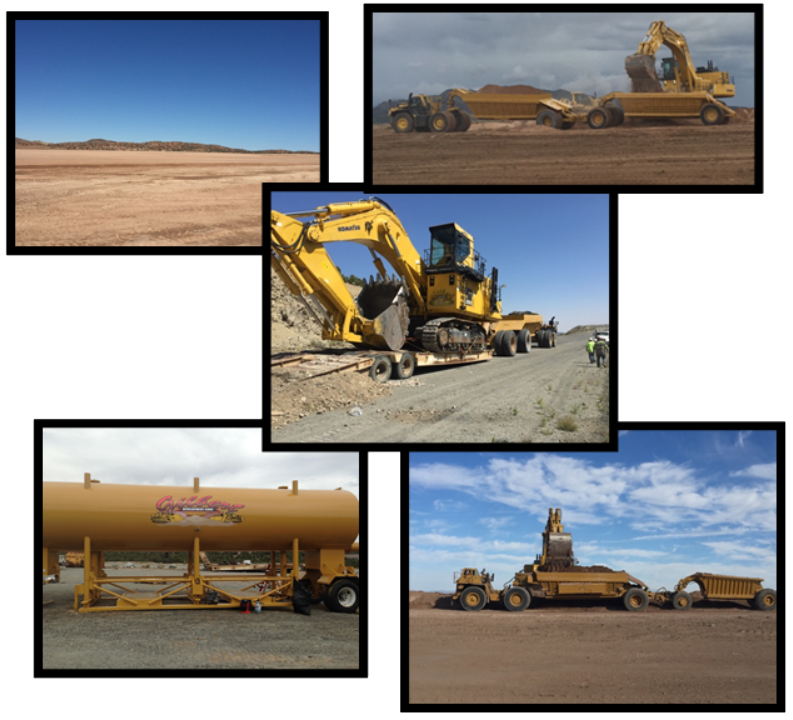 Gilbert Developments fleet of equipment maintained an aggressive schedule based on 20,000 cubic yards of material moved per day. Approximately 1.5 million cubic yards where moved. Also consisted of 350,000 tons of road aggregate crushed and transported to the locations. Over a million gallons of water used per day. 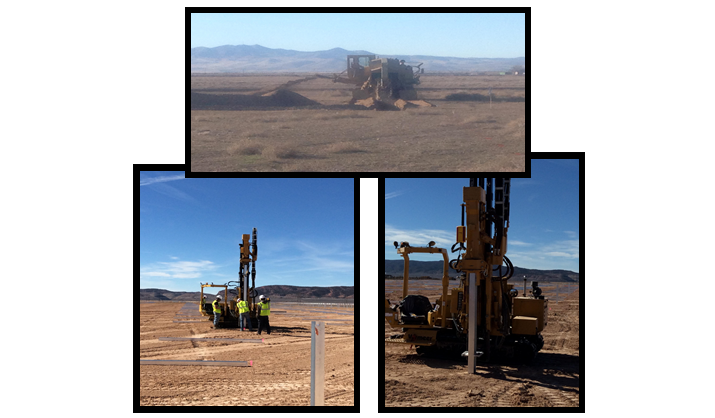 Gilbert Development completed the 600 acre, 80 mega watt solar field consist of all solar field grading, road access, off site improvements, electrical trenching, installation, backfill, finish grading pile driving. 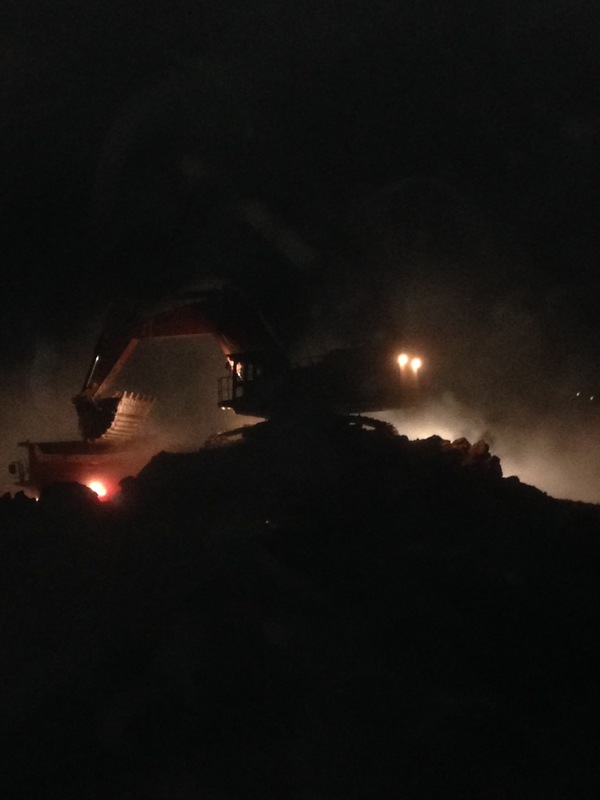 Due to the remote site we crushed all aggregates and placed aggregate for roads, buildings, substations, pads, etc. 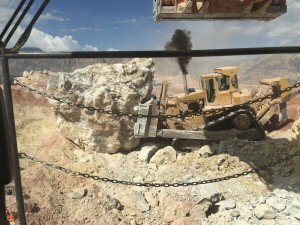 Project consists of extensive overburden removal to allow access to Gypsum Ore.
Project consists of extensive haul road pioneering on vertical face cliffs. 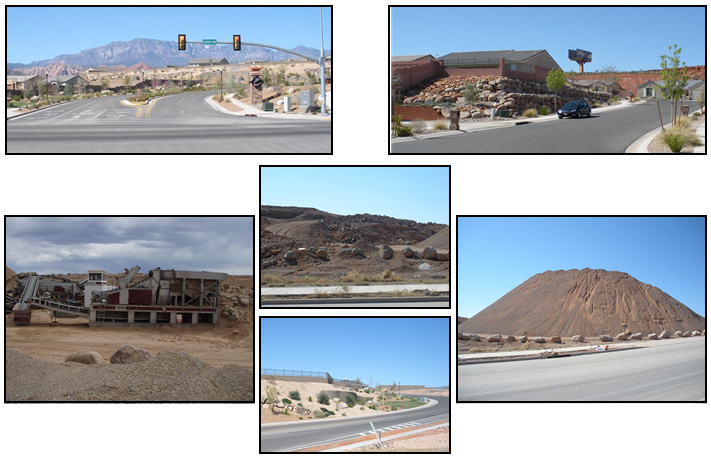 To allow productive mining on Vegas Hill. 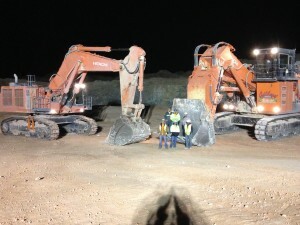 Project also consists of two million ton of drilled, blasted and hauled over burden removal. Gilbert Development Corporation has been the contract miner for the two previous owners, USX (1985-1987)) and Geneva Steel (1987-1995), as well as the current owner CML Metals Corporation (2007-present). 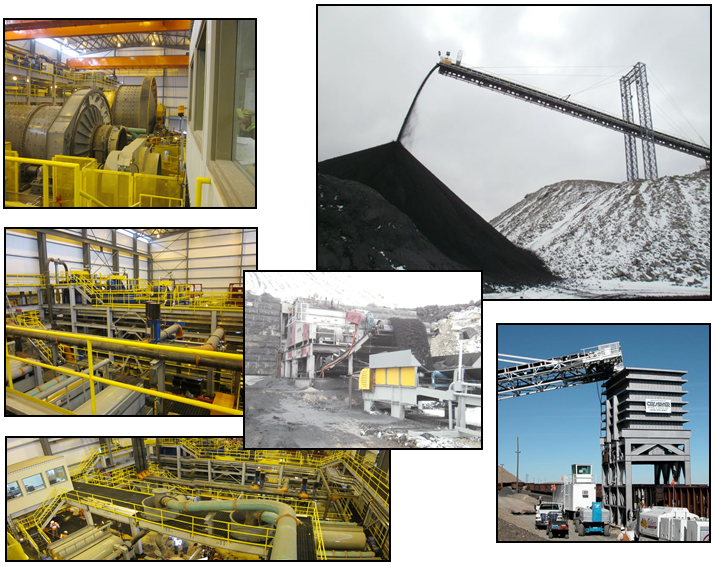 Productions of 2 million metric tons of ore and 2 million metric tons of waste per year. 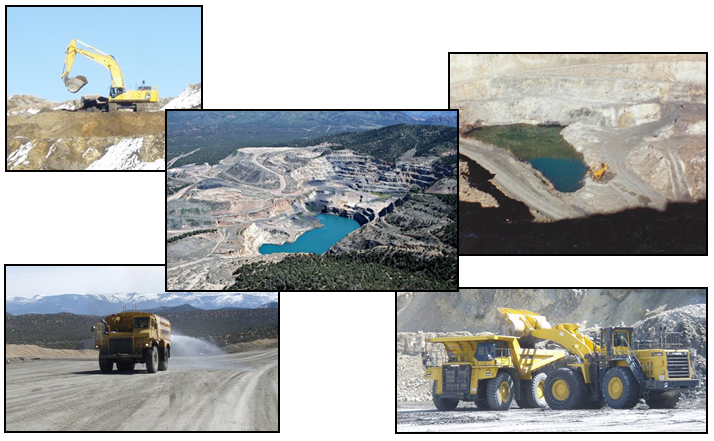 Responsibilities have included: Mining of open pit existing mines, opening of new pits (including ‘tip-top’ sitting on the highest point on Iron Mountain that many said could never be mined), blasting, hauling, crushing, processing of iron ore, waste haulage, pit dewatering, reclaiming of low grade waste dumps, magnetic separation, wet concentrate processing, loading/scheduling with Union Pacific Railroad, and railroad expansion. 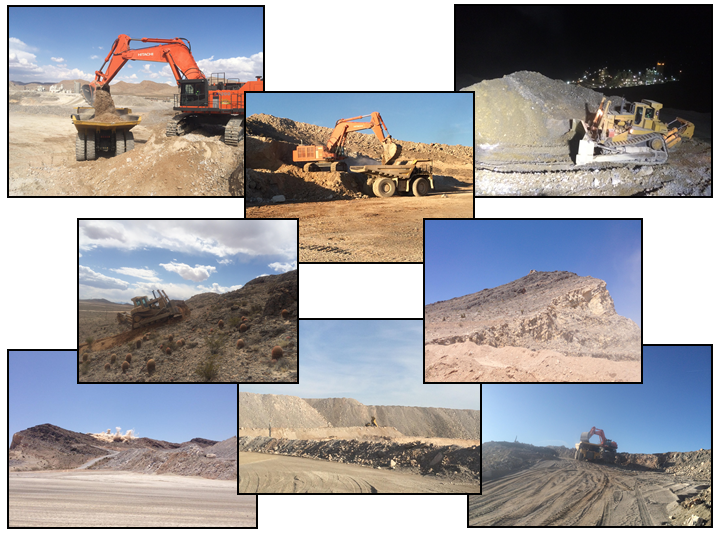 Gilbert Development in association with Crusher Rental and Sales have designed/built/maintained and operate all processing facilities including a train load-out rated at 6000 shtph, tunnel reclamation system, and crushing facilities capable of producing more than 2000 shtph. There is extensive ground water in our open pit mine operation that is dewatered 24 hours per day, 7 days a week. building which houses up to four horizontal 300 hp 350 psi pumps all VFD controlled with remote scada capabilities. 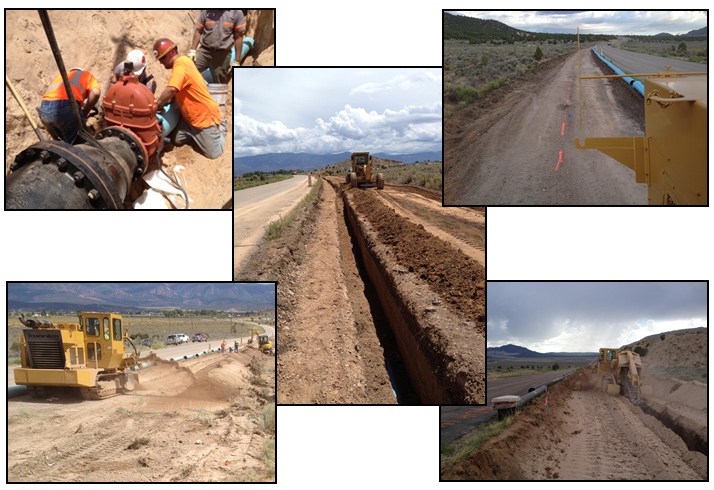 Gilbert Development worked a 24/7 schedule to complete the 13 mile pipe line in 13 days. 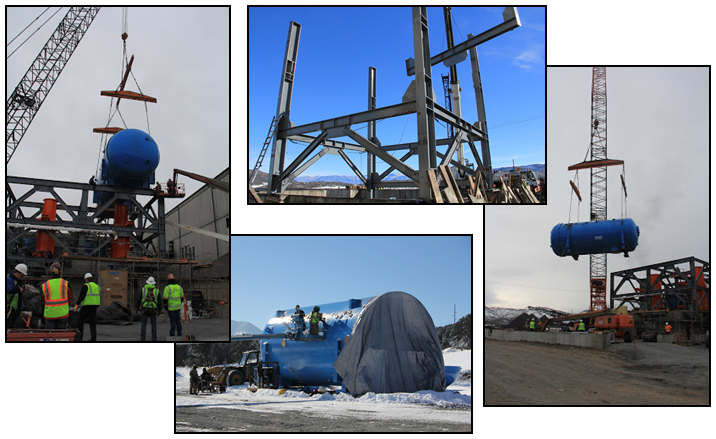 Gilbert Development is the general contractor of the hyperbaric dewatering system being installed at the CML Metals Mill, located at the Comstock Mine site. This is a 15 million dollar project which will allow CML Metals to lower their final product moisture content by up to 6%. This project will also make it possible to discontinue use of the diesel ran dryers which in turn will be a large financial advantage. 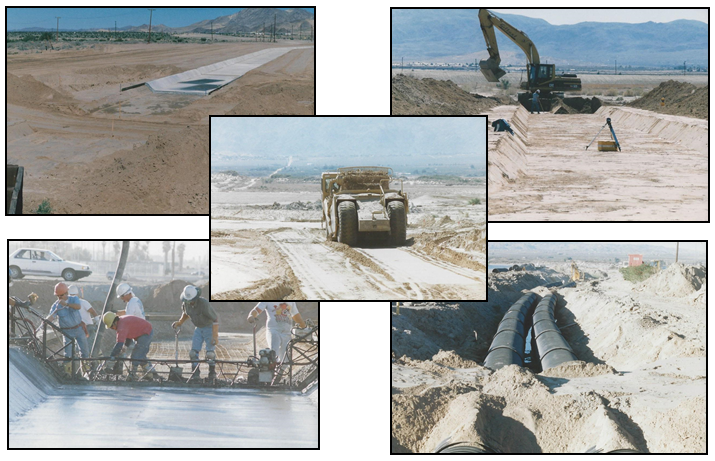 During this project Gilbert Development has been the acting general contractor, which in turn has lead to us doing the full fabrication of the hyperbaric structure followed by the full erection of the structure. Contract Miner for Aggregate Operation. Annual production in excess of 500,000 tons. Products included Type II DOT spec road base, 3/8 minus sand (gas line bedding spec), washed landscape rock (various sizes), washed concrete aggregates, landscape boulders, and rip-rap. 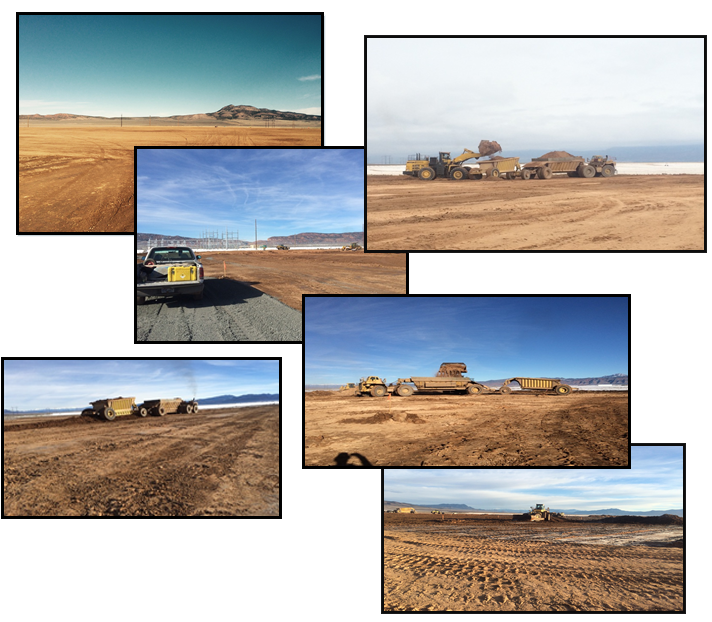 Multi-phase general contractor for earthwork, utilities, structural walls, concrete, asphalt, electrical at the master planned Coral Canyon Development for Suncor Development Corporation. 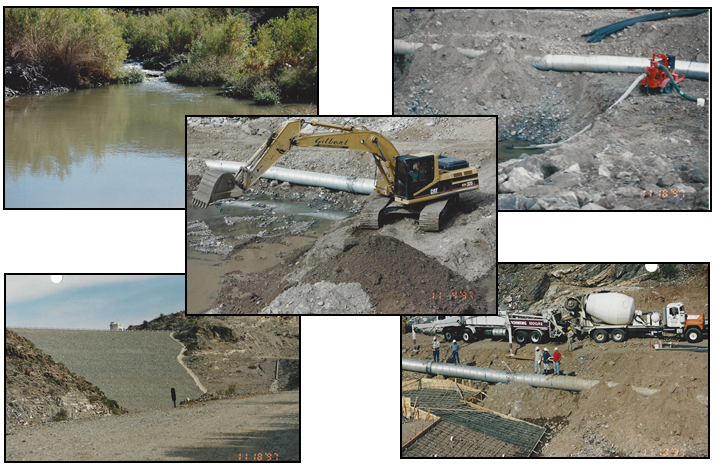 Complete water diversion to construct weir, built two coffer dams including complete dewatering and river diversion. Dewater two detention basins and deepen them to prevent 100-200 year flood.